Well, I received some amazing email submissions for the May 2009 Daily Inspirations Challenge Giveaway. Thank you to all the amazing scrappers that participated. I simply can't wait to see what creativity you have in store for me next month! 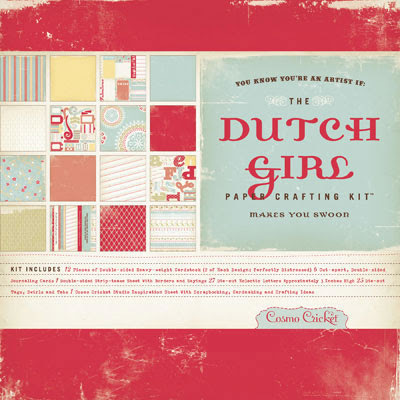 Watch your inbox for an email from me shortly with details on how to claim your Cosmo Cricket Dutch Girl Crafting Kit! The June 2009 Daily Inspirations has already been posted, so head on over and get scrapping! This month's winner will win a free copy of Linda Harrison's great scrapbooking idea book, Starting Points: Creating Meaningful Scrapbook Layouts From Whatever Inspires You.